Long Boots by Posey protect legs and heels from skin breakdown, pressure sores and friction burns. 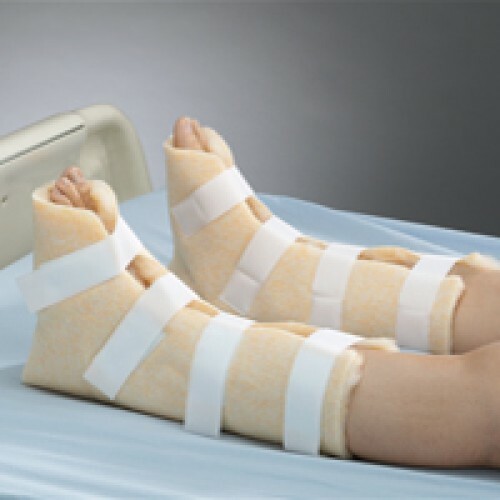 These Boot Protectors cover the leg up to the mid-calf and can also be used to elevate the feet and legs. They are made from synthetic fur for an extra soft feel on the skin. Hook and loop strap fasteners secure and release the boots with ease. See additional long boot specifications below. The Posey long boots are totally useless to us. They were supposed to replace a pair purchased many years ago that have the same order number. The boots that we just received are much stiffer with a stiff edge. If you move around in these you could scratch yourself on the stiff edge. The older ones were softer and the soft fur like material extends beyond the softer backing material. I have sent an email reply in addition to this review.